The Thriving Child Summit is a FREE online conference for parents who want to learn how to help their children THRIVE! Join me, holistic mama doc – Elisa Song, MD, for this inspirational, information-packed, 1-week event. I will interview 35+ amazing experts on a wide range of holistic child health and wellness topics – including holistic pediatrics, childhood nutrition, parenting, social-emotional learning, mama’s health from preconception through postpartum, and more! Whether your child is healthy, or has a chronic health concern – learn how to integrate the best of conventional and holistic pediatric health care, lifestyle management, and parenting tools. Become empowered to take charge of your child’s health and wellness holistically! Learn how to help your child thrive! You want to learn how to be more of a rock-star parent than you already are! You want to help your children thrive to their fullest potential! You want to feel confident integrating both conventional and natural treatments for your child! Your child is unwell, and you want to understand how to identify and treat the root cause of their illness! You want to know what and how to feed your kid! You’re tired of yelling all the time and want to explore different parenting strategies! You’re burnt out, and it’s time to learn how to take care of yourself! Sign up with your name and email at the top of this page! 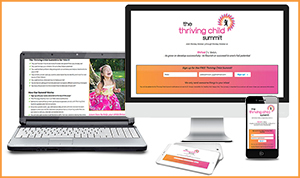 The Thriving Child Summit is a FREE online conference. Before the week of the summit, you’ll receive periodic emails with Thriving Child Summit updates and full instructions. Once the summit starts, you will receive daily emails with links to listen to each speaker’s interview. All the interviews are presented as streaming audio that you can listen to with any internet-connected device. You will also gain access to all the bonus gifts from our speakers during the entire week of the summit. You have the option to purchase digital downloads and transcripts of all the interviews so you have access to the entire summit forever! We kick off National Children’s Health Day with Day 1 of The Thriving Child Summit. Day 1 is all about Foundations for a thriving child. You’ll learn the foundations for optimal kids’ health, including the 5 building blocks, the power of nature, how to nourish our families, the essentials of sleep, and how to raise a thriving adult. Meet holistic mama doc, Elisa Song, MD. She’s a holistic pediatrician, but she’s SO much more! She’s a mama to 2 crazy fun kids, wife, daughter, twin, and big sister. She’s a Jersey girl at heart, Northern Californian in spirit. In her holistic pediatric practice, Whole Family Wellness, she’s helped 1000s of kids get to the root causes of their health concerns and helped their parents understand how to heal their children from the inside out using an integrative pediatric approach. These health concerns have ranged from frequent colds, ear infections, asthma, and eczema; to autism, ADHD, anxiety, depression, and autoimmune illnesses.What are her creds? 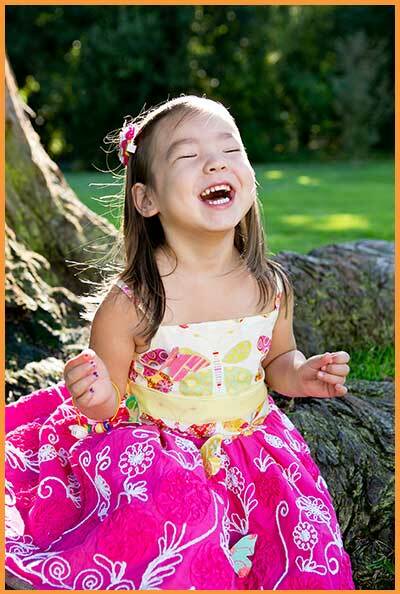 Dr. Song is a board-certified, Stanford-, NYU-, and UCSF-trained holistic pediatrician. She integrates conventional pediatrics with functional medicine, holistic nutrition, homeopathy, acupuncture, herbal medicine, and essential oils. She’s lectured for the Center for Education and Development in Clinical Homeopathy, Academy for Pain Research, Institute for Functional Medicine, and Holistic Pediatric Association, among others.Dr. Song created Healthy Kids Happy Kids to share what she’s learned as a holistic pediatrician and mama. You can find her advice and adventures on her blog (www.healthykidshappykids.com). For daily tips and inspiration, find her on Facebook (https://www.facebook.com/DrElisaSongMD/) and Instagram (@healthykids_happykids). Trish Ward is the ‘The Soulful Nutritionist’. She is passionate about educating and inspiring moms and families to get to the root cause of their health issues and individual nutrition needs.Trish is a Certified Nutrition Consultant, Board Certified Integrative Health Coach, Functional Diagnostic Nutritionist and Certified Life Coach. She is passionate about guiding people to listen to their own bodies and find the correct nutrition and lifestyle habits that work for them. She believes that both primary food (that which feeds us mentally, emotionally & spiritually) and secondary food (that which is the goodness we actually put in our mouth!) both need to be addressed for overall stellar health and wellbeing. As a Functional Diagnostic Nutritionist, Trish is able to dig deeper into the internal stressors that keep one overweight, in pain, in need of gut healing and much more. She loves co-creating plans where overwhelm and ‘where do I start?’ are no longer a part of the story, but clear, actionable steps are taken to get clients to their Health goals. In her free time, Trish loves to cook in the kitchen with her 3 kids, run trails with her husband, or curl up on the couch with a cup of tea and read. Dr. Sarah Ballantyne, Ph.D. is the creator of the award-winning online resource www.ThePaleoMom.com; cohost of the syndicated top-rated The Paleo View Podcast; New York Times bestselling author of The Paleo Approach, The Paleo Approach Cookbook and The Healing Kitchen, and creator of the online program Go To Bed. Sarah earned her doctorate degree in medical biophysics at the age of 26 and spent the next four years doing research on innate immunity and inflammation before becoming a stay-at-home mom. After her second daughter was born, she began to experiment with the Paleo lifestyle. It had an amazing effect on her health, including contributing to her 120-pound weight loss! Over time, she healed herself of a long laundry list of health conditions including: Hashimoto’s thyroiditis, fibromyalgia, Irritable Bowel Syndrome, acid reflux, migraines, anxiety, asthma, allergies, eczema, psoriasis and an autoimmune skin condition called lichen planus. Isn’t that AMAZING! She’s now an award-winning author and internationally-recognized health advocate and educator. Sarah’s innate curiosity goes further than just understanding diet, and she’s also deeply interested in the impact of lifestyle factors like sleep, stress and activity. You can learn more by checking out her blog at www.thepaleomom.com, her podcast and many books. You can also find Sarah on Facebook, Twitter, Instagram, Periscope and Pinterest. How to incorporate Paleo into your everyday life, even at birthday parties! New York Times bestselling author Julie Lythcott-Haims spent a decade as Stanford University’s Dean of Freshmen where she was known for both her fierce advocacy for students and her equally fierce critique of the growing trend of parental involvement in the day-to-day lives of college students. Toward the end of her tenure she received Stanford’s Lloyd W. Dinkelspiel Award for defining “the” undergraduate experience at Stanford and began speaking and writing widely on the phenomenon of helicopter parenting. Her New York Times best-selling book How to Raise an Adult: Break Free of the Overparenting Trap and Prepare Your Kid for Success has been published in the UK, Australia, Brazil, and the Ukraine, and the paperback edition is now here from St. Martins Press. Her work has also appeared on TEDx talks as well as in the Chicago Tribune, Forbes, Huffington Post, New York Times, Slate, and Time. She is host of the Slate/Panoply podcast “Getting In” which offers students and parents sound advice about the college application process and serves as an antidote to the college admission “arms race” mentality. She was featured at the first-ever TED Talks Live event held in Manhattan, which was broadcast on PBS on September 13, 2016).In addition to non-fiction, Julie writes poetry, plays, and short fiction. She is a graduate of Stanford University, Harvard Law School, and the California College of the Arts (MFA in Creative Writing). She lives in Silicon Valley with her husband and partner of over twenty five years, their two teenagers, and her mother. Day 2 of The Thriving Child Summit is all about Nutrition! After all, you are what you eat! You’ll learn how to instill healthy eating habits in your kids, what some of the healthiest (and unhealthiest) foods are, individualized diets for specials needs kids, and how to prevent and treat food allergies and sensitivities in our kids. Kandice Stellmon is a Certified Nutrition Consultant, specializing in holistic nutrition. 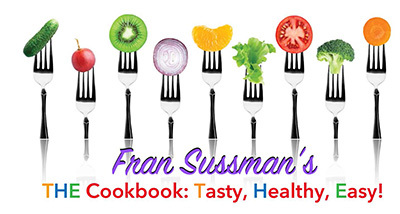 Her areas of focus include: the connection between food, mood and behavior, as well as food allergies and sensitivities, autoimmune illnesses, and well-child nutrition. Kandice graduated from Bauman College of Holistic Nutrition and Culinary Arts. As a graduate of Bauman College, Kandice has a thorough understanding of holistic nutrition and truly enjoys guiding families towards optimal health.Being a chef as well as a nutritionist gives her the ability to not only teach her clients about healthy eating, but to also implement these ideas into their daily lives with delicious recipes and meal planning ideas! Kandice works at Whole Family Wellness in Belmont, California with Dr. Elisa Song and sees patients of all ages for nutritional consultations. Some of her favorite clients are babies getting ready to start solids – it’s never too early to start learning about nutrition! She is excited to offer a variety of nutrition services to assist families in optimizing their health and meeting their nutritional needs. In addition to individual office visits, Kandice holds fun and interactive nutrition classes as well as group and individual detoxification programs.Kandice lives on the San Francisco Peninsula with her husband Scott, her daughter Davi Kate, and 2 dogs, Lola and Gunner. When she is not in the kitchen whipping up something yummy, she enjoys traveling, hiking and of course eating!!! In 1993, newly divorced with a 2 and a 5 year old, Fran Sussman opened her Sussman Holistic practice, and has since helped almost 10,000 clients reclaim their health and well-being – often in ways they never had before, all while raising 2 remarkable children to adulthood, on her own.Her strengths include helping kids with attention and focus, anger issues, and of course understanding the importance of nutrition for their development and behavior. She teaches clients to heal the gut and reduce inflammation, to balance hormones naturally in every stage of life, heal the brain, Lyme Disease, and so much more. She works with clients of every age both in person and long distance. Fran is passionate about teaching others to claim their birthright of health and vitality.Her personal journey includes not only surviving, but thriving after chronic Lyme Disease and 2 bouts with cancer. At the age of 62, she is grateful to live a life rich in purpose, joy, service, health and vitality.In addition to a thriving private practice, Fran teaches an online course called “Zen Vitality Detox”, integrating clear nutritional guidance, healthy treats, and simple practices that have huge payoffs for body, mind and spirit, resulting in increased energy and deeper peace. Participants consistently call Fran’s teaching “transformative” and “life-changing”. Dr. Tom O’Bryan is a world expert on gluten and its impact on your health. He is an internationally recognized and sought after speaker and workshop leader specializing in the complications of Non-Celiac Gluten Sensitivity, Celiac Disease, and the development of Autoimmune Diseases as they occur inside and outside of the intestines. 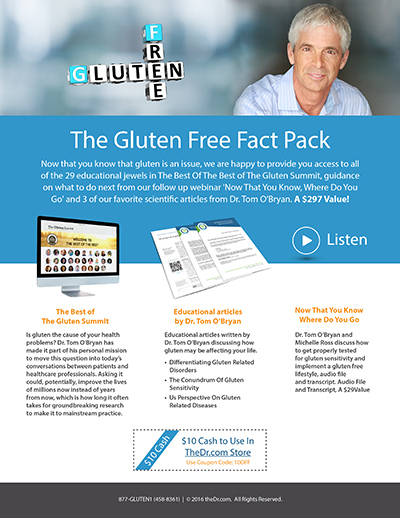 He is the founder of www.theDr.com and the visionary behind ‘The Gluten Summit – A Grain of Truth’, bringing together 29 of the world’s experts on the Gluten connection to diseases, disorders, and a wide-range of symptoms and ages. You can find this info at www.theglutensummit.com.Dr. O’Bryan is considered the ‘Sherlock Holmes’ for chronic disease and metabolic disorders. He is a clinician par excellence in treating chronic disease and metabolic disorders from a Functional Medicine Perspective. He holds teaching Faculty positions with the Institute for Functional Medicine and the National University of Health Sciences. He has trained thousands of practitioners around the world in advanced understanding of the impact of food related disorders and the development of individual autoimmune diseases.His 2016 critically acclaimed ground-breaking book, ‘The Autoimmune Fix’ outlines the step-by-step development of degenerative diseases and gives us the tools to identify our dis-ease process years before the symptoms are obvious. Why do some people get sick, and not others? Julie Matthews is a Certified Nutrition Consultant specializing in autism spectrum disorders, ADHD, and nutrition for pregnancy. Her approach is based on the BioIndividual Nutrition needs of each person. She provides dietary guidance backed by scientific research and applied clinical experience. Her award winning book, Nourishing Hope for Autism, has helped people around the world to make food and nutrition choices that aid the health, learning, and behavior of those with autism, ADHD, and other developmental delays. She presents at leading autism conferences in the US and abroad. She is on the scientific advisory board for the U.S. Autism & Asperger Association and the Autism Nutrition Research Center. She’s the co-founder of Nourishing Hope and the BioIndividual Nutrition Institute. Julie has a private nutrition practice in San Francisco, California, and supports families and clinicians from around the world with her nutrition learning tools and professional training courses. For more information, please visit her sites NourishingHope.com and BioIndividualNutrition.com. Day 3 of The Thriving Child Summit dives deeper into what to do when your child is sick using your integrative medicines toolkit – from common childhood illnesses and ear infections, to eczema, GI complaints, PMS, and autoimmunity. Sheila Kilbane, MD is a board-certified pediatrician who also trained with Andrew Weil, MD at the University of Arizona in integrative medicine. She works with families to find the root cause of illness and uses natural and nutritional therapies whenever possible in treating things such as: colic, reflux, eczema, recurrent ear and sinus infections, asthma, allergies, stomach and GI issues like constipation and abdominal pain, and sensory integration disorder. In addition to seeing individual patients in Charlotte, NC, Dr. Kilbane also offers online education courses and is the author of Amazon Bestseller “Healthy Kids, Happy Moms: A Step-by-Step Guide to Improving Many Common Childhood Illnesses”. To learn more about her practice, please visit, www.sheilakilbane.com. Emily Bartlett is a licensed acupuncturist and runs a busy Chinese medicine practice in Los Angeles, California where she specializes in women’s health and pediatrics. 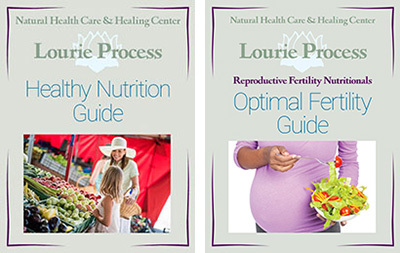 She has authored two books – The Eczema Cure and Feed Your Fertility. She also writes the popular blog, HolisticSquid.com and is co-founder of RealPlans.com, a customizable online meal planner that helps thousands of families consistently enjoy healthy, home-cooked meals. The root causes of eczema? How can you simplify your child’s elimination diet using a customizable meal planner? Dr. Robert Dumont is a board certified pediatrician and gastroenterologist practicing Pediatric Integrative Medicine at the Raby Institute for Integrative Medicine at Northwestern in Chicago, Illinois. Previously he was an associate professor of pediatrics at Loyola University medical center. At Loyola he was director of the pediatric integrative medicine program, medical director of pediatric nutrition and director for the Pediatric Cystic Fibrosis Center. For over 16 years he has been the medical director of the Easter Seals DuPage Feeding Clinic.Practicing Integrative medicine for over 20 years, Dr. Dumont is board certified in Integrative medicine through the American Board of Integrative Medicine, American Board of Integrative and Holistic Medicine, and in Medical Acupuncture through the American Board of Medical Acupuncture. He has had formal training in other areas including: mind/body medicine at the Harvard Mind/Body Institute; medical hypnosis through the American Society of Clinical Hypnosis and the Society of Behavioral and Developmental Pediatrics; functional medicine through the Institute for Functional Medicine; Homeopathy through the American Institute of Homeopathy and the Center for Education and Development of Clinical Homeopathy (CEDH). He is currently a senior teacher in the CEDH homeopathy training program for physicians. Dr. Erica Song is a wife, mother to 2 amazing children, friend, sister, daughter, sometimes therapist and last but not least a holistic gynecologist. Dr. Song, a board-certified gynecologist, founded Vibrant Life Medicine in Englewood, New Jersey, for men and women based on the philosophy of integrating the best of conventional medicine with functional, metabolic, regenerative and complementary medicine customized to meet the unique needs of each patient.Dr. Song received her B.S. in art at MIT, medical training at NYU and additional fellowship training through the Institute for Functional Medicine and the American Academy of Anti-Aging Medicine. Dr. Song is a certified nutritional holistic health coach through the Institute for Integrative Nutrition. She is also an affiliate of the Cell Surgical Network and formed the New Jersey Stem Cell Treatment Center to help further stem cell therapies.At Vibrant Life Medicine, Dr. Song helps men and women achieve and maintain wellness by building on the foundation to health, including proper nutrition, adequate sleep, movement, mind-body stress management, supplements and hormone optimization. What exactly is PMS and why is it important to address early on? Dr. Jill is board certified in both Family Medicine and Integrative Holistic Medicine. She is a functional medicine expert who started Flatiron Functional Medicine in Louisville, Colorado, to help patients find the root cause of their illness and heal them by addressing their underlying nutritional and biochemical imbalances. Functional Medicine is personalized medicine that deals with the root cause of disease instead of just treating symptoms.Through her own personal health care experiences, Dr. Jill has learned firsthand the importance of identifying and treating the root cause of illness. She is passionate about teaching patients to learn to thrive even while dealing with chronic and complex illnesses. Dr. Jill is an amazing writer and a speaker and loves to teach patients and other physicians alike. She is faculty for the Institute for Functional Medicine and A4M Metabolic Medical Institute has an amazing blog with resources that you can find at www.jillcarnahan.com. So many of our kids are suffering from mental health and neurodevelopmental concerns – including anxiety/depression, ADHD, autism, behavior challenges. That’s why Day 4 is devoted to helping parents understand how to help their children using a holistic approach that includes diet, lifestyle, biomedical interventions, detoxification and prevention! Dr. Scott Shannon, MD, is a holistic child and adolescent psychiatrist. He has been involved in holistic medicine since he joined the American Holistic Medical Association in 1978. Scott has been instrumental in the creation of a holistic and integrative perspective in psychiatry for over two decades. He published the first textbook for this field in 2001. Scott is a past President of the American Holistic Medical Association and a past President of the American Board of Integrative Holistic Medicine. He was a founding Board member for the Academy of Integrative Health and Medicine and serves currently on the American Board of Integrative Medicine.Scott also teaches as an Assistant Clinical Professor of Psychiatry at the University of Colorado-Children’s Hospital in Denver. In 2010 he founded the country’s largest and most comprehensive integrative mental health clinic, the Wholeness Center, in Fort Collins, Colorado. He is also an author. His first book was Please Don’t Label My Child in 2007. Norton published his latest textbook for professionals, Mental Health for the Whole Child in 2013 and his book for parents, Parenting the Whole Child in 2014. A unique combination of special educator, nutritionist, and licensed clinical psychologist, Dr. Nicole Beurkens, has 20 years of experience supporting children, young adults, and families. She has specialized expertise in evaluating and treating a wide range of learning, mood, and behavior challenges including autism spectrum disorder, ADHD, anxiety, mood disorders, and other neurodevelopmental conditions. She holds a Doctorate in Clinical Psychology, Masters degrees in Special Education and Nutrition, and is trained in numerous specialty areas. Dr. Beurkens is the Founder and Director of Horizons Developmental Resource Center in Grand Rapids, Michigan, where she leads a multidisciplinary team dedicated to exceptional evaluation and integrative treatment services, research on innovative treatment protocols, and professional training on best practices. She is a best-selling author, award-winning therapist, and published researcher. When she isn’t working, Dr. Beurkens enjoys spending time with her husband and four children. She is dedicated to empowering parents with knowledge and strategies to help children reach their greatest potential. The 5 key areas to address when your child has attention, anxiety, mood and behavior challenges and how! Kenneth A. Bock, MD, FAAFP, FACN, CNS, received his medical degree with Honors from the University of Rochester School of Medicine in 1979. Dr. Bock is the founder of Bock Integrative Medicine in Red Hook, NY, and has been a pioneer and leader in the field of integrative medicine for over 3 decades. He is author of the book, Healing the New Childhood Epidemics: The Groundbreaking Program for the 4-A Disorders: Autism, ADHD, Asthma & Allergies. His interests include the individualized evaluation and treatment of complex chronic disorders, including autoimmune disorders and immune system dysregulation, neuro-immune disorders including infectious triggered brain inflammation as we see in PANS and PANDAS, Lyme disease and other tick borne co-infections, the 4-A disorders: Autism ADHD, Asthma, Allergies, and the prevention of the 4-A disorders. Dr. Mumper is President and CEO of The RIMLAND Center, established to mentor clinicians interested in children with neurodevelopmental problems. Her general pediatrics practice is Advocates for Children. Advocates for Families is devoted to the care of children with autism and other neurodevelopmental problems.Dr. Mumper attended the Medical College of Virginia, did residency training at the University of Massachusetts and University of Virginia, where she served as Chief Resident of Pediatrics at UVA.Her clinical experience has included five years in pediatric practice, over a decade as Director of Pediatric Education in a Family Practice Residency Program, 16 years as clinical faculty at the University of Virginia, and five years as Medical Director of the Autism Research Institute. She is currently on the faculty of MAPS (Medical Academy for Pediatric Special Needs), and recently obtained certification from the Institute of Functional Medicine.Dr. Mumper has been being named a Miracle Maker in Central Virginia, Woman of the Year in Health and Sciences by the YWCA and received several Inspiring Change Awards from the MINDD Foundation in Australia. Dr. Mumper has written book chapters about allergy, immunology and behavioral and developmental pediatrics, Her clinical research at the Rimland Center has been published in peer reviewed journals. She lectures nationally and internationally and mentors physicians around the world, including Australia, Austria, Canada, the Czech Republic, Denmark, Hong Kong, Italy, Japan, New Zealand, Norway, Poland, Sweden, Switzerland, Thailand, and the United Kingdom. Wendy Myers, FDN, is the founder of Liveto110.com and MineralPower.com. She is a functional diagnostic nutritionist in Los Angeles, Ca. She attended the Institute for Integrative Nutrition in New York and has a degree in Entrepreneurship from the University of Southern California. She uses Hair Mineral Analysis and other functional medical tests to design custom Mineral Power programs. This is an individualized targeted nutrient therapy program to facilitate toxic metal and chemical detox, heal the adrenals and thyroid, regain energy and brain function and reverse and prevent disease. Are kids stressed? YES! Are parents stressed? YES! Day 5 of The Thriving Child Summit is jam packed with inspiring information and practical tools to help kids (and grownups!) manage their stress, and for us to be the parents we want to be! Dr. Sandra Scheinbaum is the founder and CEO of the Functional Medicine Coaching Academy, a program established in collaboration with The Institute for Functional Medicine. An Institute for Functional Medicine Certified Practitioner and licensed clinical psychologist with a master’s degree in learning disabilities, Dr. Scheinbaum has specialized in blending mind-body medicine with positive psychology and taught stress management to both children and adults for over 40 years. She established a clinic for diagnosing and treating attention deficit disorders and also ran a clinic for treating panic and anxiety.Dr. Scheinbaum is a board-certified senior fellow in biofeedback, certified health coach and registered yoga instructor. She was on the faculty of the National Lewis University and the University of Western States, where she taught the Psychology of Eating and the Psychology of Well-Being. Dr. Scheinbaum is the author of Stop Panic Attacks in 10 Easy Steps: Using Functional Medicine to Calm Your Mind and Body with Drug-Free Techniques and How to Give Clients the Skills to Stop Panic Attacks, and conducted one of the first controlled studies of neurofeedback for the treatment of ADD. She is passionate about transforming healthcare by training health coaches to integrate the positive psychology model of coaching with the functional medicine approach to reversing chronic illness. 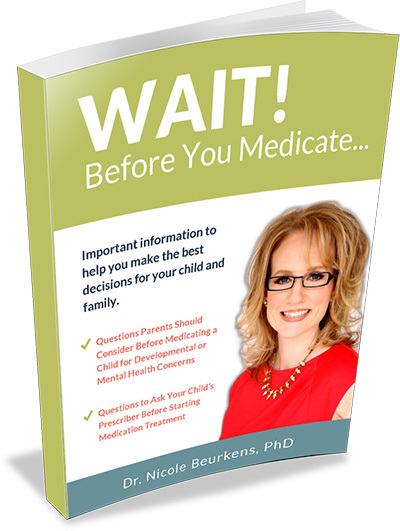 Dr. Huebner is the author of the award-winning What to Do Guides for Kids published by the American Psychological Association. With close to 1 million copies sold, her books have been translated into 12 languages and are helping children around the world. Known for her ability to translate complex psychological principles into easy to implement strategies and her warm, engaging style, Dr. Huebner has been featured on The Today Show, WebMD, Parents Magazine and has given a TED talk. A graduate of The University of Michigan with a PhD in Clinical Psychology, Dr. Huebner maintains a private practice in NH, specializing in the treatment of anxious children and their parents. She is a member of the American Psychological Association, the New Hampshire Psychological Association, the Anxiety Disorders Association of America, the International OCD Foundation, and the Society of Children’s Book Writers and Illustrators, and is a BTTI graduate (certified in the treatment of OCD). An updated list of books, information about her practice in New Hampshire and series of articles for parents is available on her website: www.DawnHuebnerPhD.com. How to help kids reframe worry and F.E.A.R. Amy Saltzman M.D. is a holistic physician, mindfulness coach, scientist, wife, mother, devoted student of transformation, long-time athlete, and occasional poet. Her passion is supporting people of all ages in enhancing their well-being and discovering the Still Quiet Place within. She is recognized by her peers as a visionary and pioneer in the fields of mindfulness for youth and holistic medicine. She has offered mindfulness to young people from pre-K to college undergrads in socioeconomically diverse school and community settings, and conducted two research studies evaluating the benefits of teaching mindfulness to child-parent pairs and to children in low-income elementary schools. These research projects were conducted in collaboration with the Department of Psychology at Stanford University. To support others in discovering the joy and peace of the Still Quiet Place Dr. Saltzman have written three books: A Still Quiet Place: A Mindfulness Program for Teaching Children and Adolescents to Ease Stress and Difficult Emotions. A Still Quiet Place for Teens: A Mindfulness Workbook to Ease Stress and Difficult Emotions, Teaching Mindfulness Skills to Kids and Teens, and created two CDS available via iTunes, Amazon and CD Baby: Still Quiet Place: Mindfulness for Young Children. Still Quiet Place: Mindfulness for Teens.Dr. Saltzman provides holistic medical care and individual mindfulness instruction to children, teens, and adults. She also offers presentations and courses for young children, teens, parents, educators, and health care professionals. Named by mindbodygreen.com as one of the 100 Women to Watch in Wellness, Dr. Aviva Romm has bridged her interests in traditional medicine with her knowledge of science for over 3 decades. A midwife and herbalist for 25 years, now a Yale trained MD, Board Certified in Family Medicine with Obstetrics. Aviva’s focus is on women’s and children’s health, with an emphasis on the impact of stress physiology on health, chronic disease, food cravings, weight, and hormone imbalance, and the use of food, mindfulness, and natural medicine to develop and express greater resilience and live fuller lives. She is also an avid environmental health advocate, writing and teaching about the impact of pollutants on fertility, pregnancy, women’s hormones, chronic illness and children’s long-term health.Aviva is recognized as an international authority in the field of botanical medicine, and is the author of 7 books on natural medicine for women and children, including the textbook Botanical Medicine for Women’s Health. Her newest book, The Adrenal Thyroid Revolution (Harper One), will be published in January 2017. The mother of 4 and grandmother of 2, Aviva lives and practices medicine in the Berkshires of western Massachusetts and New York City. Patty Wipfler is the author of the brand new book Listen: Five Simple Tools to Meet Your Everyday Parenting Challenges, released on August 23, 2016, and the book Listening to Children with over 800,000c copies sold. She was born, raised and educated in California, graduating from Occidental College in 1968, and is the mother of two adult sons. The focus of her work since 1974 has been teaching basic listening, parenting, and leadership skills to parents. She directed The School, a non-profit parent co-operative preschool in Palo Alto, and later directed the Neighborhood Infant Toddler Center for Palo Alto Community Child Care. She has led over 400 residential weekend workshops for families and for leaders of parents in the U.S. and in 23 countries.In 1989, she founded the non-profit Parents Leadership Institute, which evolved into Hand in Hand Parenting. As Director, she has written 14 booklets, produced videotapes and audiotapes, and has written over 100 articles for Hand in Hand on the principles and benefits of Parenting by Connection. 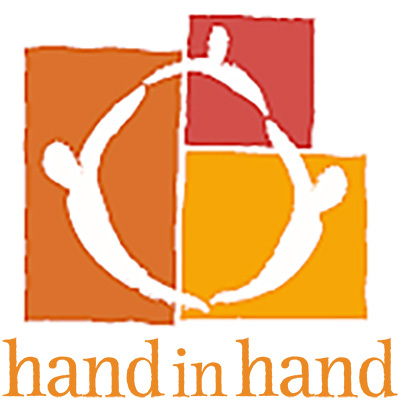 Hand in Hand Parenting serves families all over the world.Patty Wipfler’s articles have been published in Mothering Magazine, the Bulletin of Zero to Three: National Center for Infants, Toddlers and Families, Child Welfare News, and in many local newsletters for parents. She has been a keynote speaker at the Association for the Education of Young Children conventions in Chicago and Philadelphia, and has done workshops and trainings throughout California, and in Oregon, New Mexico, Texas, and Massachusetts, as well as in Beijing, China.Patty lives with her husband in Palo Alto, California. There are so many tools we can use in our natural medicines toolkit. 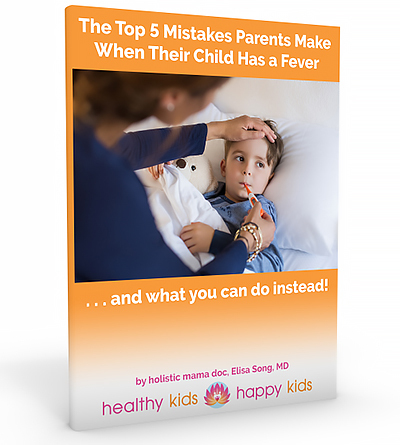 On Day 6, find out more about the power of homeopathy, Traditional Chinese Medicine, acupressure, essential oils, herbal medicine and chiropractic care to help your child thrive! Robin Ray Green is a licensed acupuncturist and herbalist, with a master’s in Traditional Chinese Medicine from the prestigious Five Branches University in Santa Cruz, CA. She has over 10 years of clinical experience using Traditional Chinese Medicine to help children heal from asthma, allergies, eczema, and other common health problems that Western medicine doesn’t adequately address. Robin founded the Center for Advanced Acupuncture Pediatrics, which provides premier pediatric acupuncture training worldwide. 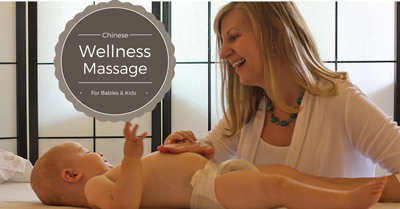 Her goal is to help parents integrate Chinese and Western medicine to facilitate healing. She is a HayHouse author and her book, Heal Your Child from the Inside Out: The 5-Element Way to Nurturing Healthy, Happy Kids is due in bookstores October 18, 2016. For more information, you can visit her website at www.robinraygreen.com. Dr. Mariza Snyder is a passionate wellness practitioner and public speaker with over 8 years of experience focusing on women and children. Dr. Mariza leads a community of women who are educated about nutrition, detox programs, self-care and essential oils.! Dr. Mariza became passionate about women’s health after her own health issues. Through functional medicine, whole foods and self-care practices she was able to heal her adrenal dysregulation and chronic migraines related to hormone imbalance. Jodi Sternoff Cohen combined her background in Nutritional Therapy and Aromatherapy to create unique proprietary blends of organic and wild-crafted essential oils that balance different organ systems in the body. 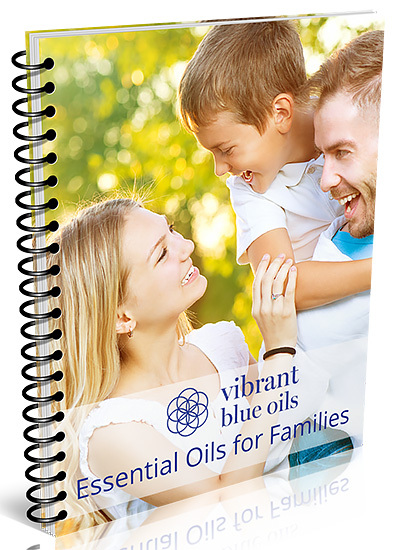 These blends, in combination with dietary and lifestyle changes, help the body return to homeostasis so it can heal.Jodi founded the company Vibrant Blue Oils to distribute these blends along with appropriate education to help clients identify and properly support the underlying issues that contribute to ill health, including proper digestion, detoxification, blood sugar balance, sleep, stress management and gut repair and inflammation support. When used to support the underlying organ systems, essential oils can expedite healing of many issues.In addition to her essential oil business, Jodi is a certified yoga instructor and mother of a beautiful daughter, son and new puppy. Jodi enjoys all physical activities including hiking, skiing, yoga, running, biking and paddle boarding along with reading, cooking and time with family and friends. Dr. Steve Tullius is a pediatric and family chiropractor specializing in the care of children with neurodevelopmental and behavioral conditions such as autism, ADHD, PANS/PANDAS, OCD, Sensory Processing Disorder and epilepsy. Having a child with special needs, he thoroughly understands the gamut of personal, familial and health related challenges. Through the use of advanced nervous system examination technology to assess the health of the nervous system as well as manual methods to restore balance to that system, Dr. Tullius is able to see extraordinary improvements in the quality of life of those he serves. He is the vice president of the International Federation of Chiropractors and Organizations and travels throughout the country and internationally, speaking at conferences and chiropractic colleges. Barlow Herbal, was started by her father Max Barlow, a Master Herbalist and US Authority on Medicinal Plants. When he passed away, Jane took over the reins and brought Barlow Herbal to the worldJane is the second of Max’s nine daughters! She grew up around herbs her entire life. She learned her father’s trade working side by side with him in the field. From learning the precise harvest seasons for each herb type to the distinct ways to dry, process and create powerful concentrated extracts, Jane truly understands how to capture the strength from the Earth.Jane’s passion in the beauty industry coupled with her master herbal knowledge gives her a unique edge in creating very specialized health & beauty products. She spends years of research carefully formulating healthy products that she uses and endorses. Barlow Herbal now gives people the confidence to handle every day health issues using herbal medicine.Jane has 2 grown sons, 2 grandchildren and lives in Salt Lake City, Utah with her husband, Tim. Laura-Jean Anderson MA, MFT, CHHC is an international speaker and teacher working with clients in Europe and North America. She is a psychotherapist, Certified Holistic Health Consultant, member of the American Association for Drugless Practitioners, graduate of the Institute for Integrative Nutrition, Certified in Plant- Based Nutrition through Cornell University, and Certified Gluten Practitioner. She has studied at the Institute for Functional Medicine and the Biological Medicine Academy with Dr. Thomas Rau. She has participated in special trainings on Environmental Toxins, Hashimotos’, Thyroid related issues, Functional Nutrition and Essential oils.Laura-Jean has been a student of Energy Medicine, is a certified Reiki Master and Practitioner of The Reconnection, Matrix Energetics, Quantum Touch and Chi Aura Integration. Her years of working with clients have illuminated the fact that the body is perfectly designed to heal if we give it the right nutrients and environment in which it can thrive. She is a firm believer that most chronic illness and emotional difficulties originate in the gut and can be greatly improved and most often healed with diet, lifestyle and targeted nutrition. Laura-Jean has three children and four grandchildren, so far! Peter Fisher is Director of Research and Consultant Physician at the Royal London Hospital for Integrated Medicine (RLHIM) in London, England. He is accredited (Board Certified) in homeopathy and rheumatology. The Royal London Hospital for Integrated Medicine (RLHIM) is part of University College London Hospitals, one of the largest academic medical centers in Europe, and is Europe’s largest public sector center for integrated medicine. He is also Physician to Her Majesty Queen Elizabeth II.Dr. Fisher is an active clinician, specializing in integrating homeopathy and other forms of complementary medicine with conventional forms of health care. His philosophy, put simply, is to provide patients with ‘the best of both worlds’. There is no denying the enormous advances made by conventional medicine. But many problems remain, some of them linked to the excesses of conventional medicine.Peter speaks at congresses all over the world, His most recent speaking engagement was in the US in Chicago in June 2016. He is a member of the World Health Organization’s Expert Advisory Panel on Traditional and Complementary Medicine, and helped to draft its Traditional and Complementary Medicine Strategy 2014-2023. He is also Editor-in-Chief of the international medical journal Homeopathy.He has conducted numerous research projects in homeopathy and integrated medicine. His interest in the area was triggered by a visit to China during the Cultural Revolution while still a medical student at Cambridge University. His research work centers on responding to the problems of health care, including ‘effectiveness gaps, multi-morbidity and polypharmacy, by integrating the best of conventional and complementary medicine. Day 7 is for the mamas, who devote everything to their kids. It’s time for some mama self-care! Our speakers today will show you how to get your vitality back, lose the baby weight, and balance your hormones, all while balancing your life! Dr. Keesha is a board-certified Functional and Ayurvedic medical practitioner, as well as Doctor of Sexology, Certified Psychotherapist, energy worker, Reiki Master and yoga teacher. She’s also the host of the Healthy You! Radio Network (www.healthyyouradio.com).Dr. Keesha has been in the medical field for over 30 years. Her constant thirst for knowledge in the pursuit of finding answers to her patient’s problems has taken her around the world, learning from traditional healers and native cultures from such diverse places as Australia, India, Mexico, Peru, Africa, and Sri Lanka; as well as from the best of the innovative thinkers and scientists our country has to offer.Through her own crisis of being diagnosed with rheumatoid arthritis, a supposedly incurable autoimmune disease, she was faced with a lifetime of debilitating drugs and no answers. So she found her own answers and cured herself! And in doing that, discovered the key to low libido in women through her innovative research.Dr. Ewers is the founder of a new branch of medicine called Functional Sexology, a combination of functional medicine, psychotherapy, sexology, and Ayurveda. 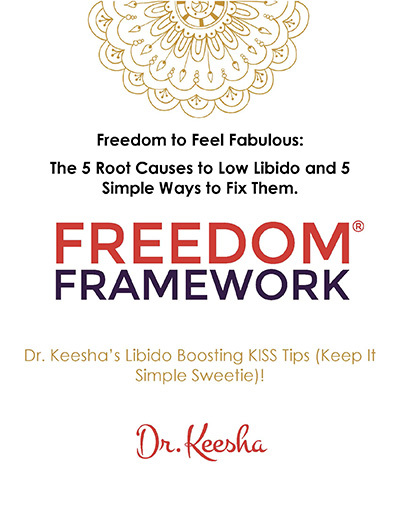 Dr. Keesha developed the Freedom Framework to find and fix the root causes of any disease or imbalance. Through the Academy for Integrative Medicine, she offers a certification course for those passionate about and wanting to become Integrative Medicine Health Coaches.Dr. Keesha has published articles and books and conducted research primarily on adrenal fatigue, emotional pain, cultural and spiritual values, and cognitive beliefs and how they affect female sexual desire and vitality. Her online programs and videos can be found at www.DrKeesha.com. Physician, Best-Selling Author, Associate Professor, International Lecturer, Acupuncturist, Certified Nutritionist, Prevention/Integrative Health Expert, Mom and Wife. Dr. Tasneem Bhatia, MD, is a board-certified physician, specializing in integrative and emergency medicine, pediatrics and prevention, with expertise in women’s health, weight-loss and nutrition. She is the author of “What Doctors Eat” and “The 21-Day Belly Fix.”Personal health challenges in her twenties combined with a broken health care system motivated Dr. Taz to pursue an alternative definition of health and healthy living. She is passionate about the profound connection and synergy between women and children’s health and their ultimate impact on the health of the entire family. Her centers are dedicated to helping patients understand their core health issues and develop personalized treatment plans.She is a fellow of the University of Arizona Program in Integrative Medicine led by Dr. Andrew Weil and has served as a medical expert for CNN Headline News, a Dr. Oz Sharecare expert, has been featured on numerous media outlets, including TODAY, Access Hollywood, Good Morning America, The Weather Channel, EXTRA!, Live with Kelly, and the Meredith Vieira Show, and is a contributing editor for Prevention magazine. When not caring for patients, Dr. Taz, can be found spending time with her husband and two young children, reading, studying the latest updates in integrative, holistic, and functional medicine, practicing yoga, creating new holistic recipes in the kitchen for her YouTube show, ‘Kitchen Cures,’ and traveling. Dr. Jolene Brighten is a licensed Functional Medicine Naturopathic Doctor, bestselling author, speaker, and mother. Dr. Brighten specializes in women’s health, from fertility to postpartum care, adrenal and thyroid support, autoimmune conditions, and digestive disorders. In her patient centered practice, located right here in the San Francisco Bay Area where I am, Dr. Brighten thrives on navigating the space between conventional and alternative medicine, all while working with patients to help them achieve optimum balance, health, and happiness..Dr. Brighten’s best-selling book, “Healing Your Body Naturally After Childbirth: The New Mom’s Guide to Navigating the Fourth Trimester” is a must-read for any mama who is expecting or has already given birth. When should mamas trying to conceive focus on hormonal health and the health of their body? “I’ve always believed it is possible to recover from chronic disease and to feel well and have joy again.”A native Philadelphian, Carol received an undergraduate degree from Temple University and went on to attend the National College of Naturopathic Medicine in Portland, Oregon. Moving to California, she obtained her Acupuncture license. After working at the well-known Berkeley Holistic Health Center as a Homeopath and Clinical Nutritionist, in 1988, Carol founded the Natural Health Care & Healing Center in Berkeley, CA. Carol studied homeopathy with Robyn Murphy while at the National College and continued to increase her studies with Louis Klein, FSHom, obtaining a Master Clinician in Homeopathy.Carol has also been attending advanced conferences in the area of Functional Medicine for the past thirty years. Her studies and clinical experience have led to expertise as a practitioner of Functional Medicine and provided her with the medical foundation to unravel complex chronic disease and the facility to successfully treat such diverse conditions as Inflammatory illnesses, Women’s health and Infertility, and Integrative Mental Health. She’s recently undertaken the study of Integrative Oncology with Donnie Yance of the Mederi Foundation in Ashland, Oregon, which has given her the tools to provide Restorative Cancer Care. Julie Lieberman Neale embraces both the magic and the mess of parenthood and believes our children challenge us to grow into our best selves. She is on a mission to live a truly EPIC life and, through her example, inspire her children to do the same. Her “for-purpose” venture, Mother’s Quest, provides inspiration, coaching and community so other mothers can live their EPIC lives.After a 20-year career as a leader in youth-serving non-profit organizations, Julie turned her focus to coaching, training at the Coaches Training Institute, and facilitating a process known as “reflection” for youth development professionals. Through this and her parenting experience, she realized that mothers need an opportunity to reflect on their own growth, dreams, and plans and created Mother’s Quest to champion them. She writes about the transformative experience of parenting in her own life at mothersquest.com and hosts the Mother’s Quest Podcast, available on iTunes.Julie received her Masters in City Planning, Community Development from UC Berkeley and a BA in Communication Studies from UCLA, where she met her husband. She currently lives with her husband and two boys in the San Francisco Bay Area.When she’s not wrestling with her preschooler or driving her pre-teen to basketball practice, you can find her squeezing in ten minutes of yoga and meditation (believing something is better than nothing!) and staying up way too late to watch a double-hitter of Game of Thrones and Super Soul Sunday. … and what you can do instead! 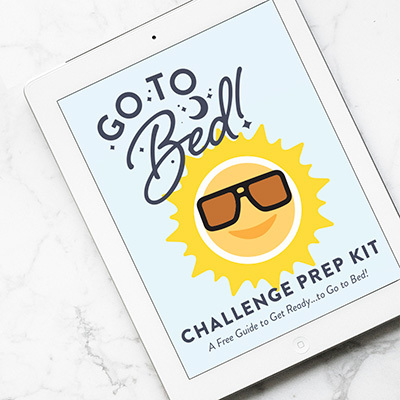 Go To Bed Prep Kit & the 14-day challenge support emails, all for FREE! The supportive atmosphere of a group of people all working towards similar goals can be a huge mediator of success! So, group Go To Bed Sleep Challenges are hosted every single month by dedicated Facebook and Instagram communities! Get support every step of your 14-Day Go To Bed Sleep Challenge from knowledgeable page administrators and a community of your peers! It doesn’t cost anything to join a group challenge and you’re welcome to join them any and every month! And, of course, with the full program, you’ll have everything you need to successfully complete the 14-Day Go To Bed Sleep Challenge on your own too! THE Cookbook: Tasty. Healthy. Easy! delicious enough to be worth the effort. Tasty. Healthy. Easy. That’s my standard. Now that you know that gluten is an issue, we are happy to provide you access to all of the 29 educational jewels in The Best Of The Best of The Gluten Summit, guidance on what to do next from our follow up webinar ‘Now That You Know, Where Do You Go’ and 3 of our favorite scientific articles from Dr. Tom O’Bryan. 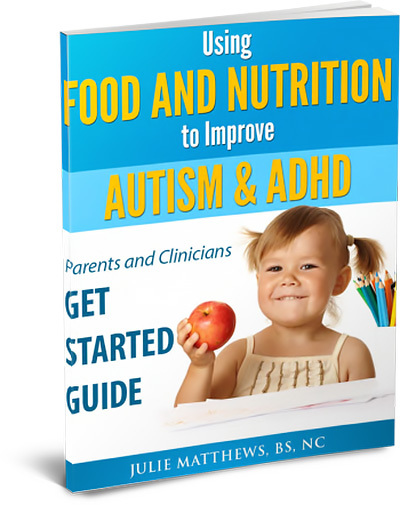 Discover How To Make Food and Nutrition Choices that aid the Health, Learning, and Behavior of those with Autism, ADHD, and beyond. What supplements do you recommend? At what age should my child be tested for allergies if they’re showing symptoms such as mouth breathing and congestion? Are there any natural treatments that reach ear infections in the middle ear? These are just a few of the topics we covered during the Q&A. Take a minute to listen today and you’ll be on your way to stopping the cycle of recurrent ear infections! More than medication is needed to solve the attention, anxiety, mood, and behavior problems that affect so many children today. In fact, medication can be part of the problem! Let me show you how simple shifts in key areas can make life better for your child and family! 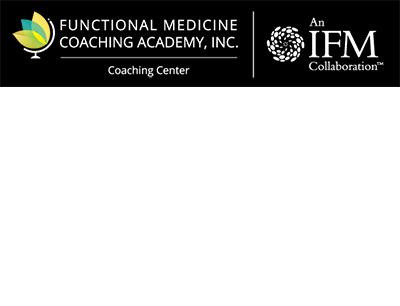 10 coaching sessions from the Functional Medicine Coaching Center at 50% off! Partner with a practicum student coach from the Functional Medicine Coaching Academy for 10 sessions, either by phone or virtually. Have an ally as you help your child build resiliency through character strength and relaxation. Learn how to use principles of Functional Medicine, positive psychology, mind-body medicine and functional nutrition to reach your wellness goals. The Still Quiet Place is a comforting place to visit, especially if you are having a bad day – feeling angry, sad, scared, or lonely. As you learn to meet your thoughts and feelings in the Still Quiet Place, you may discover that they are not as powerful as they seem. 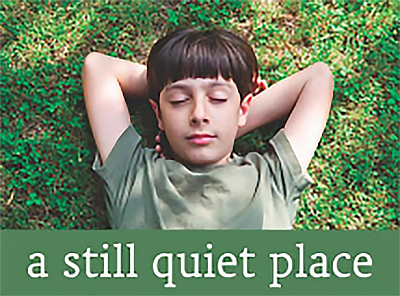 Children, teens and adults who visit the Still Quiet Place frequently find life is more enjoyable. They are kinder to themselves, and calmer and more creative when they are having difficulties with friends, family, school, sports and other activities. Watch our free video and learn how to do 5 simple massage techniques to support your child’s immunity and digestion. 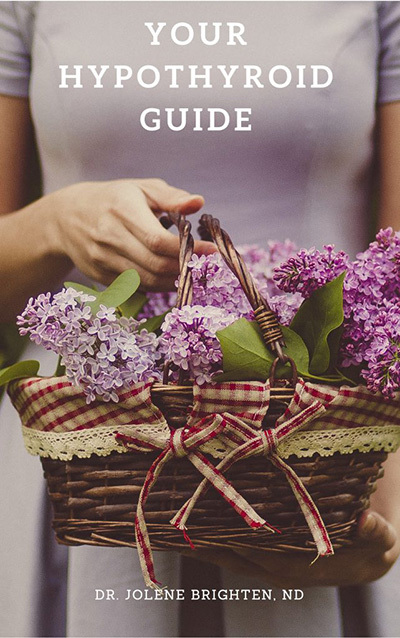 An introduction on how to reclaim your health using essential oils. 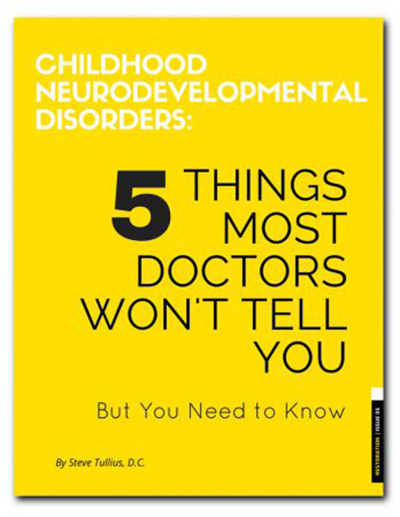 Neurodevelopmental disorders are rising at an alarming rate. Autism, anxiety, OCD, ODD, ADHD, SPD…. the list goes on and on. Children and families are facing a tremendous epidemic. And while the health and well-being of our children is being significantly impacted; their quality of life, health and function can always be improved. The purpose of this document is to help you make that improvement. 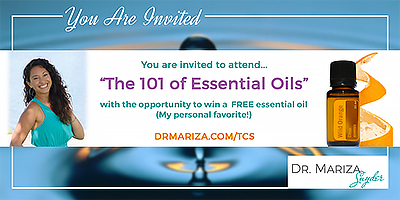 Discover how you can incorporate Essential Oils into your life and discover natural solutions to your healing. Know the top Essential oilsto incorporate into an integrated, holistic protocol to help you address some of the root causes. Stop hurting and start healing from anxiety and depression NATURALLY, even if you have suffered from it your whole life. The power of Essential Oils – How the gift of nature can help change our wellness mentally, physically and emotionally. Dr. Keesha’s Libido Boosting KISS Tips (Keep It Simple Sweetie)! Learn how to improve your energy, lose weight & elevate your mood! 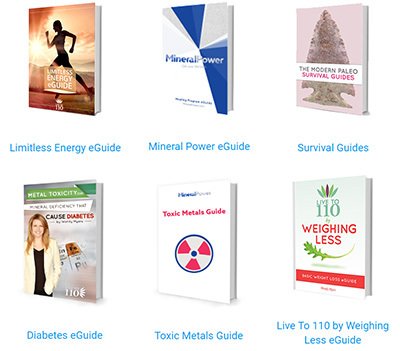 Two amazing, powerful guides to support your BEST HEALTH. Purchase the Thriving Child Summit 2016! You can own all of our expert talks! All of the audio recordings, transcripts of the interviews, and speaker bonuses are available to purchase. I have selected the top experts in children’s and women’s holistic health/wellness who I believe EVERY single parent must hear! You will want to listen to these inspiring and educational interviews over and over. I guarantee that each time you do, you will learn another pearl of wisdom! You missed some of the interviews. You would like to have transcripts to read of all of the interviews. You want to listen to the entire summit at your own pace. You would like to share this info with friends, family and your doctor. I’m a holistic pediatrician, but I’m SO much more than that! I’m “mama” to beautiful, spunky Kenzi and sweet, goofy Bodi. I’m wife to dedicated, loving, supportive Peter. I’m a daughter, twin, and big sister. I’m a Jersey girl at heart, Northern Californian in spirit. I’m a wine and food lover – pretty much all of it, especially bacon. And I’m a wannabe home chef and amateur photographer. I’m a board-certified, Stanford-, NYU-, UCSF-trained holistic pediatrician. In my holistic pediatric practice, Whole Family Wellness, I have helped 1000s of kids get to the root causes of their health concerns and helped their parents understand how to heal their children from the inside out using an integrative pediatric approach. Additionally, I have an online blog, Healthy Kids Happy Kids, dedicated to sharing my decades of knowledge as a holistic pediatrician and mama WITH YOU, in a super fun, yet practical and informative way. A very special thanks to our fantastic sponsors! The contents of this website, including associated email and any other correspondence, are for informational purposes only and are not intended to be a substitute for professional medical advice, diagnosis, or treatment. This website does not provide medical advice, diagnosis, or treatment.